Looking for best Genesis Child themes for wordPress blogs? If yes, you have come to a right place, no need to move further. Today, I am going to share top WordPress Genesis child themes. When you join blogging industry, your blog becomes your identity. People start to know you from your blog. If your blog’s look is not good, people leave your blog into one second. Doesn’t matter how much quality information, you are offering at your blog. If you are losing your visitors without spending one minute at your blog, how you can get success in blogging. Your reader is everything for you or I must say your reader is the backbone of your blogging success. You keep your house clean, wear clean clothes and look professional, then how you can see your blog in dirty look. A blog that looks professional send advertisers, clients and readers. Choosing the best theme is very tedious jobs when you have millions of themes for choosing. So I compiled a list of 11 best Genesis child themes for your WordPress blogs. Why I prefer to recommend Genesis Child themes? Genesis is the incredible product of copy blogger media. People behind copy blogger are extraordinary. Genesis themes look simple, elegant and optimized for conversation and increasing revenue through email leads and AdSense CTR. Genesis Framework is most secure and SEO optimized foundation for your blog. Genesis Framework has already upgraded several times since it was introduced. That indicates Genesis has grown rapidly causes its impressive features and user love. Are you thinking why I am calling Genesis Child themes except Genesis themes? Let me explain. A child theme is a newly designed theme that need Framework to run. And Framework that child theme use is Genesis developed by StudioPress. So it is known as Genesis Child theme. 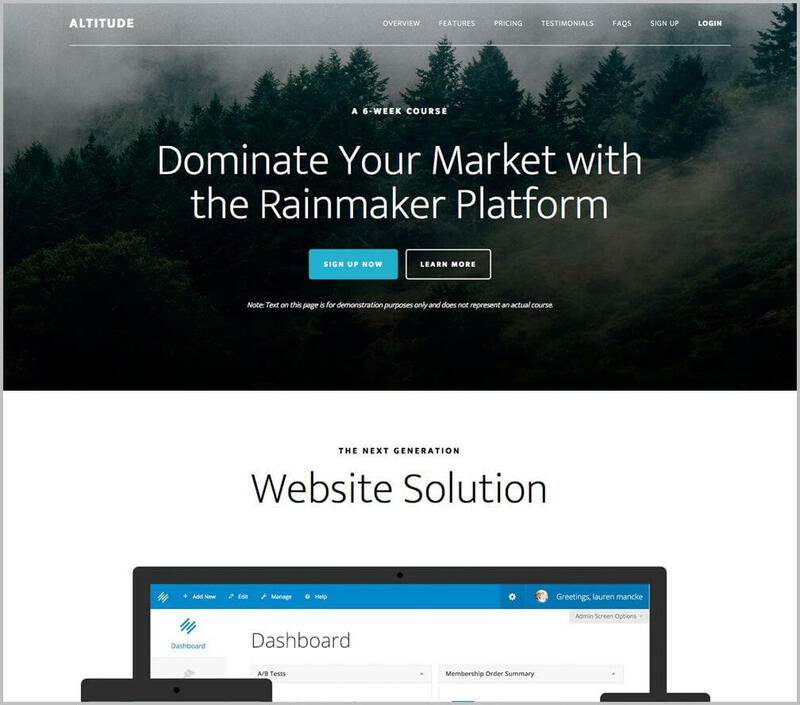 If you are looking for wordpress business themes, Altitude Pro is one of the best themes for business website. It is designed with the purpose to take you and your online business higher. Its parallax effect and features will grab your readers, visitor’s eye that turn into customers. You can easily offer your services to your clients using this theme. You can show your package price at home page. Attitude Pro is fully responsive Genesis child themes. Its loading speed is very good. I am sure its design is going to attract you. 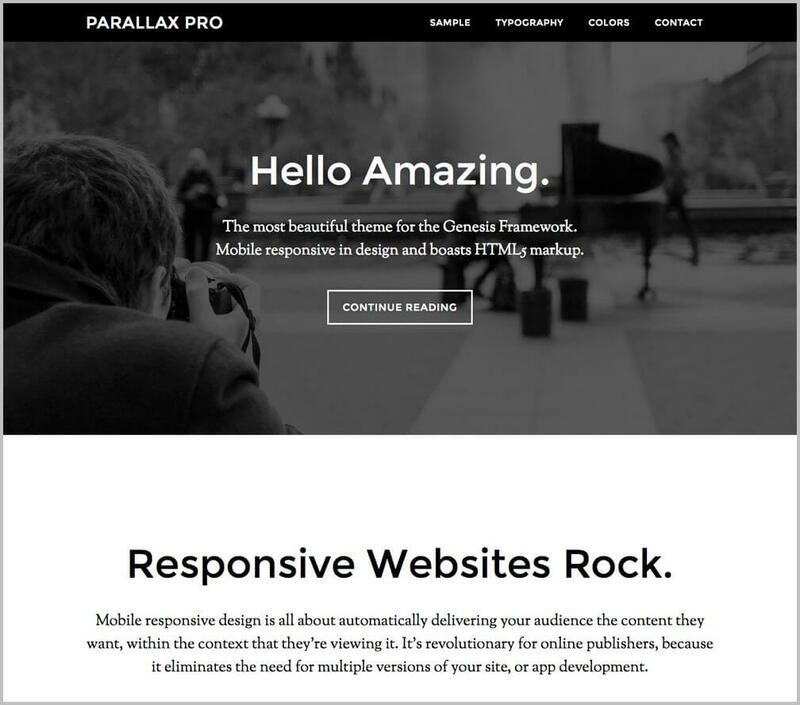 Parallax Pro is another good theme for business website. If you are looking a theme with simple vertical design for easy visual eye moment and flow, Parallax Theme is best choice for you. It shows your page content in proper native order. Parallax allows your visitor to read it like a story without pause and get them to call to action. It comes with 5 color styles, custom backgrounds and custom headers etc. 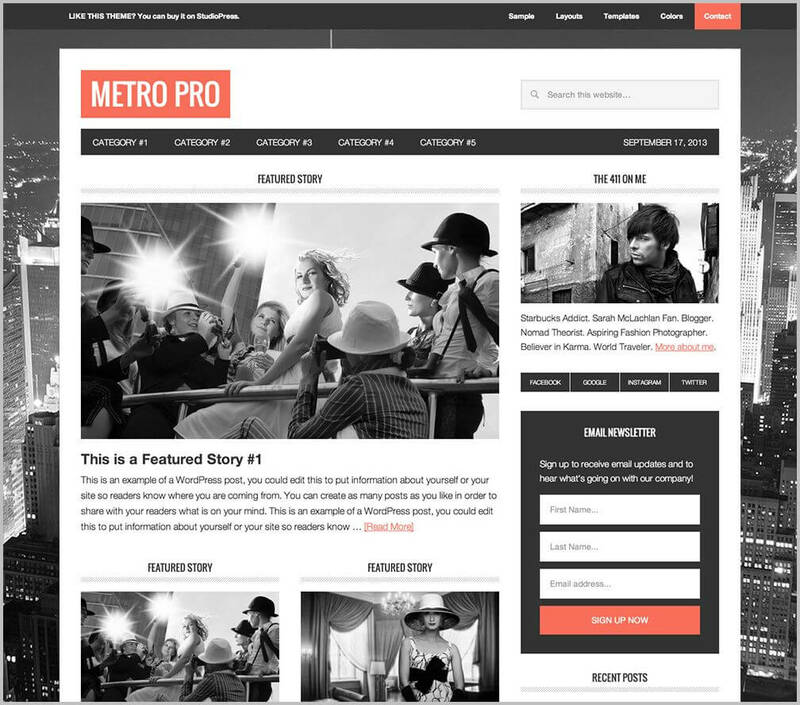 If you are looking a modern magazine style layout theme for your blog, I bet you no theme can better than Metro Pro. It comes with 1152 pixel-wide frame. It is incredible feature to highlights feature products or stories. It’s look very simple and professional. It is fast and fully responsive theme. It is most loved theme for blogging and tech blogs. It comes with 5 color styles and 6 layout options. Means you can use this for more than one website using different layouts. Is it no cool? Of course it is. If you are planning to design a website for capturing leads to grow your business or increase revenue. Generate Pro is perfect genesis theme for you. It offers you two places to put your email subscription box first at top of home page and second after post. Both places are amazing. If you use this theme, there is no chance to leave a single visitor. Generate theme look clean and beautiful. It comes with 3 layouts. All are complement to each other. It is fully SEO optimized and mobile responsive theme. Executive theme is designed with the purpose to display your projects and portfolio to your clients in order to attract them. 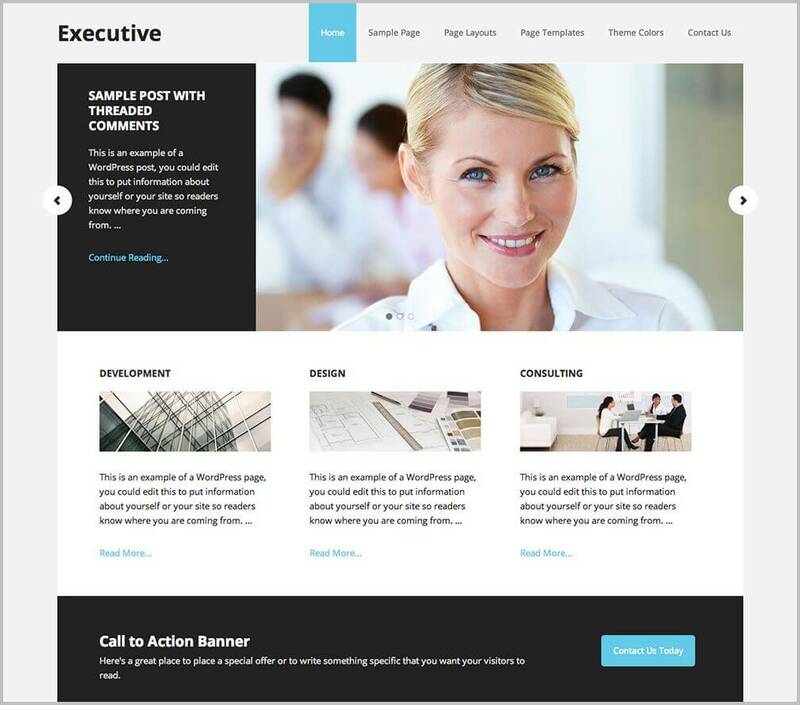 Executive theme is best genesis child theme for those who are looking for perfect theme for their portfolio website. It is recommended to businessmen and engineers. This elegant layout is utilized to share your objectives and carry out your vision with authority. This theme helps you to show them your work in elegant way and create a real environment. 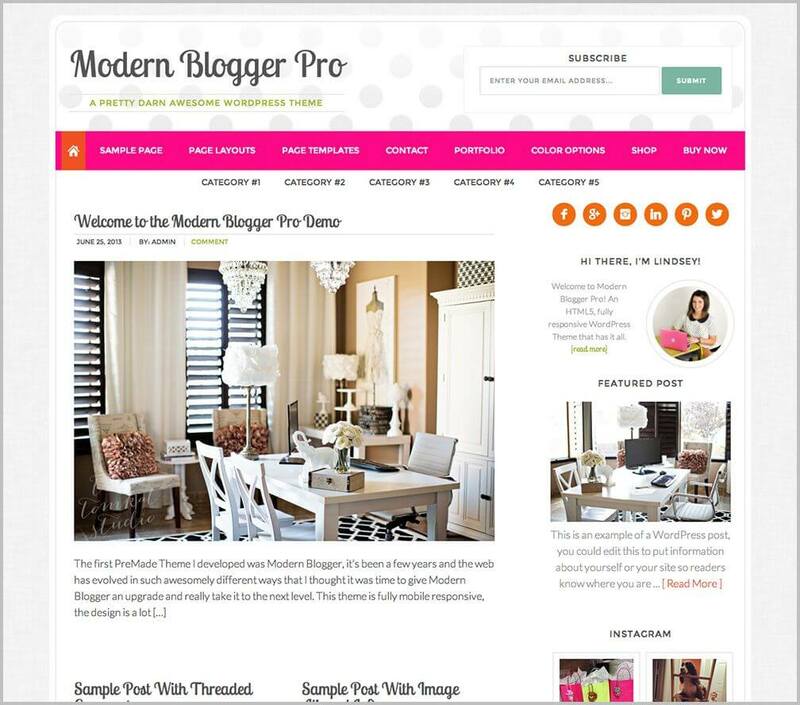 Modern Pro Theme is prefect genesis child theme for bloggers. It is designed to serve a platform which can be used for multi-purpose. It is ecommerce ready so you can use it to sell your products to your readers. It comes with portfolio page, which you can use to showcase your project and skills. It is fit for all niche blogger. If you are looking a theme which you can use for blog, portfolio or sell product, I would like to recommend going with you Modern Pro. No one can be best choice rather than this simple and elegant genesis child theme. Do you have readers and customers who are always hunger for more? 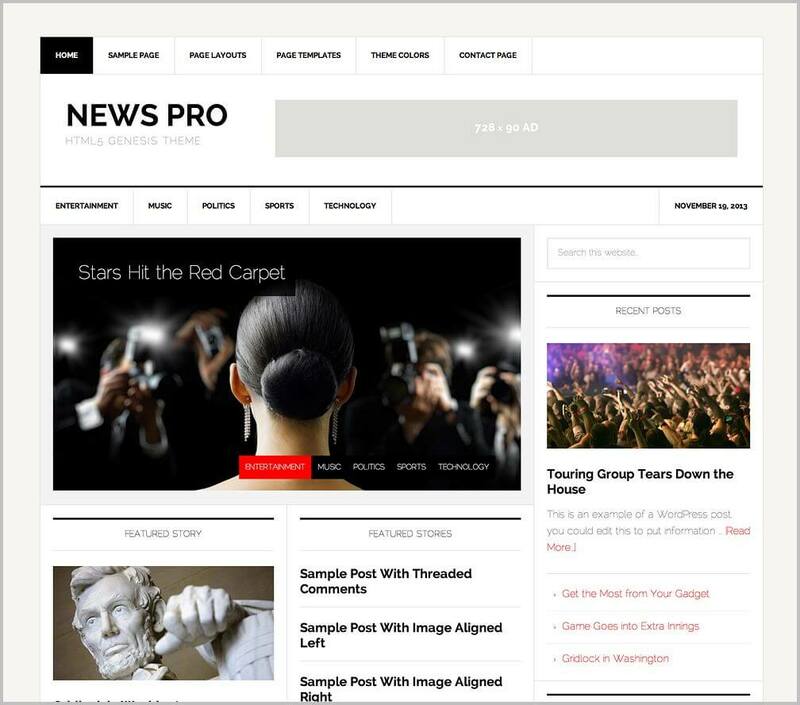 Deliver it in incredible style with News Themes. This genesis theme supports all formats likes great articles, audio and video of your content heavy website. This is must have premium genesis child theme for all technology bloggers and multi niche blogs. It comes with 5 color styles and 6 layouts options. You can show content from each category at home page. It has featured slider and 728*90 Ad in header to increase AdSense revenue. 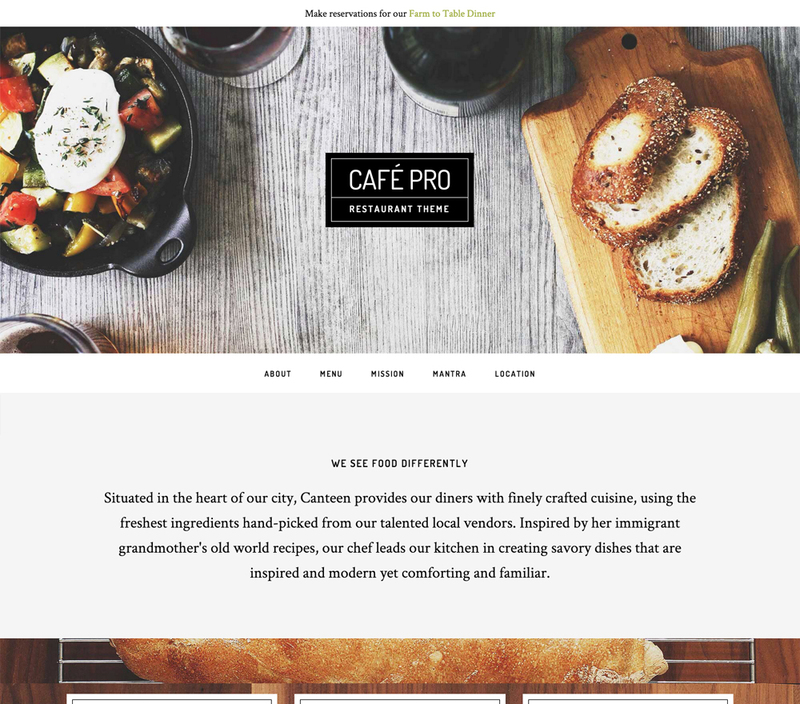 Café pro theme combines two most popular Studio Press genesis child themes Parallax and Foodie to create quintessential design solution not only for restaurant but also for any brick and mortar business planning to create an amazing presence online. If you are looking a best genesis child themes for your restaurant business, having Café theme is best choice. 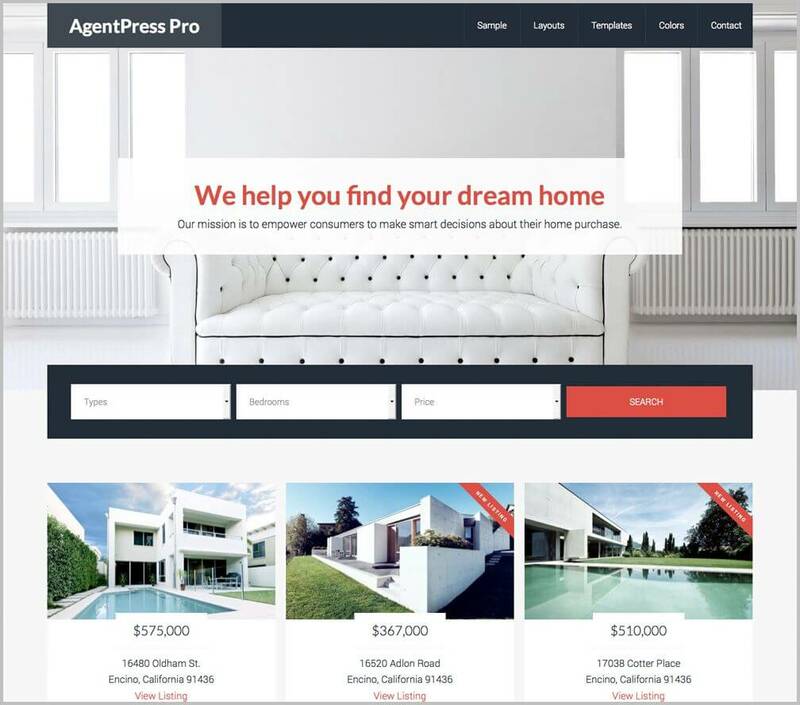 AgentPress is particularly designed for real estate business. It helps savvy real estate agents to build a better business with its incredible design, powerful functionally and smart listing. Shine in real estate industry and achieve results to showcase your professional services and up to minute resources. AgentPress has smart search feature at top which makes it more users friendly. This theme comes with 4 color styles and 6 layout options. This theme’s smart listing makes it awesome. It is best WordPress genesis child themes for real estate business. 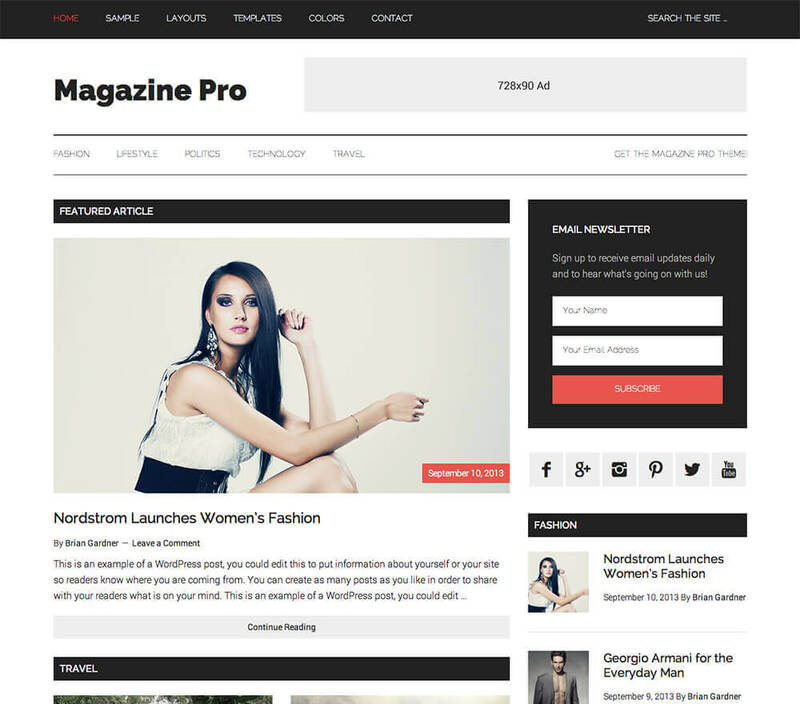 Magazine Pro is a perfect theme who is looking simple and clean theme to give their blog amazing look and feel of magazine. It offers 6 layouts. You can choose what you like, or you can use single theme for your several blogs with different layout. Is it not cool? It offers four color styles and all color styles are stunning. It offers you email newsletter in sidebar at top. This is amazing to increase subscribers. It’s versatile layouts and media ready designed is liked by many bloggers. If you are planning to give a magazine look to your blog, Magazine Pro is perfect genesis child theme for you. Foodie Pro is one of best Genesis Child themes. It offers you six amazing layout.Using them, you can give your desired look to your blog. What I like most about Foodie Pro is its amazing ready-made widget. That you can use to display Adsense ads and ads of affiliate products. It is highly responsive and fasted loading speed so no chance to miss a single visitor. Loading speed strongly correlates to search engine ranking. So it is one of most looked featured you can’t ignore and I must say that loading speed should be your first priority. 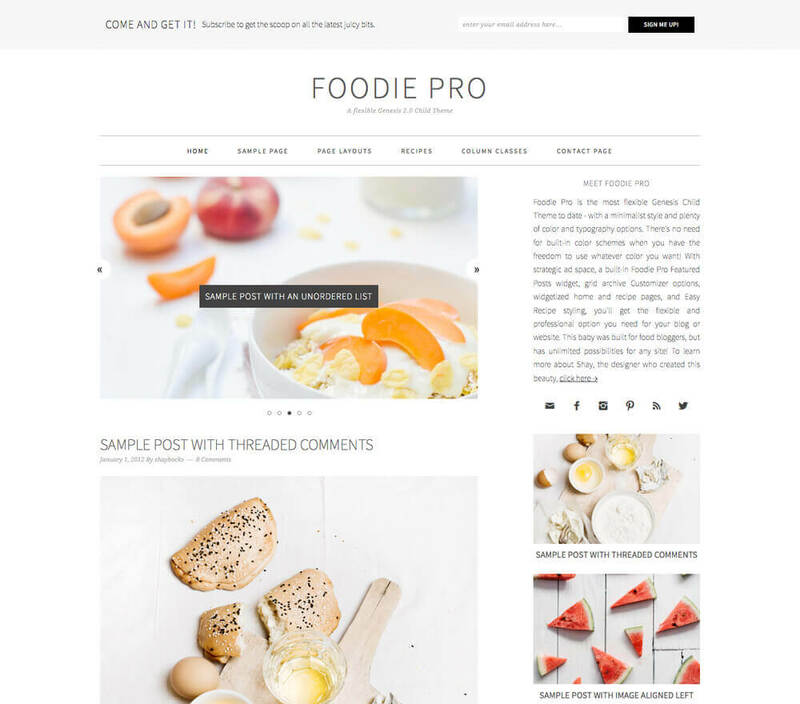 Foodie Pro is perfect choice for magazine style blogs, entertainment blogs, news blogs and also for food blogs. I am also using Foodie Pro for one of entertainment blog. These all are best responsive genesis child themes for WorPress bloggers. I covered best blog, business, and portfolio genesis child themes for most of niche. If your niche is not listed yet in this list, take at look at more genesis child themes and pick best genesis child theme for your brand new website. Or you can comment, I would like to add best genesis child themes according to your niche. If you found this post useful, share with your friends and help them to choose best genesis child themes for their wordpress business website. What is your favorite genesis child theme? Let’s share in comments section. I would like to hear from you. Great collections of theme but I’m looking to use Modern Pro Theme for my blog. I am glad you loved all themes and thanks to tweet at Twitter. Generate Theme looks superb and I was looking for a new elegant theme for my new blog. I am happy you found Generate Theme superb. 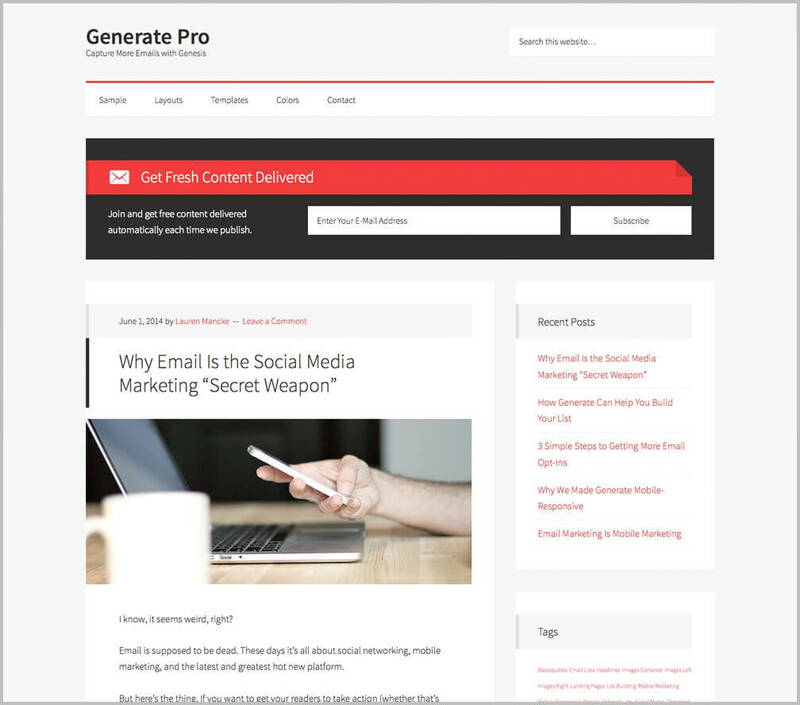 Generate Theme looks simple and professional and it have incredible email subscription box at the top to capture leads. Well I love “Metro Theme” theme as its very simple and looking kinda vintage. I already have it but didn’t use on any blog. Nice to see you here 🙂 I also love this Metro Theme, this genesis theme is simple and elegant. Hi Jyoti. It’s a great list but still i think, child themes like “magnus 7″,”BloggingCage”,”CopyBlogger” deserve a place in your list. Don’t you think so? I love FUN THEME…. Its very simple and beautiful. Have been an old user of genesis themes, I guess I’ve started my first blog using a theme called News theme. Nice themes shared though. This is really a cool list of Responsive Genesis Child Themes. This is a fair collection of premium themes. I’m a blogger likes to start a new blog but I’m bit confused of selecting a good theme. Please suggest me a better theme for my personal blog. Thank you for your nice article. This is a superb list of Genesis child themes. Most of the bloggers are now making use of Genesis child themes. I too recently wrote a post covering some of the themes. I hope that many Genesis child themes will get released in this year. Great post, actually am very happy with this…I love these wp theme and also I’m using metro pro theme. Hi jyoti ..we can found same information on the internet but way of presentation of your post is really noticable. Great collection of themes, I will be using one of these themes for my new blog. I’m a big fan of Genesis, for the child themes, and for how adaptable Genesis is on it’s own. Speed and mobile responsiveness is so important today and Genesis does both well. Which theme you are using mam plz tell me ? Genesis framwork is very good theme for all types of blogs. The child themes collection is very good. Among these I love PARALAX and METRO themes. Genesis child theme is easy to use and customizable. I’ve seen that shoutmeloud (by Harsh) also uses the same theme. This theme is simplest and SEO friendly. I am already using Genesis Framework theme for my blog, spending on these themes is really an future investment for those who are serious bloggers in longer term. Great to read the list of best themes. Genesis is indeed an excellent solution for bloggers. Even the child theme does the job in great way and that is the reason that genesis is one of the most recommended theme in the blogosphere. Generate Theme is best for capturing leads. You should give a try this. I am sure, you are gonna to love this. Great post Jyoti. We are using Genesis Framework and Child theme on our website. However, it’s not that much straight forward to customize genesis themes. I have started using genesis recently. Also, shifted all my previous blogs to genesis framework. Though its not easy to customize genesis themes; still I love to work with it. I always use genesis due to its loading speed and light weight. BTW you created updateland theme? These all are good, but I like 4 no. theme most as it’s very good if some one wants to increase email subscribers.